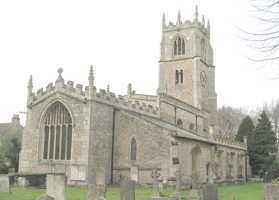 The church of St John, Carlton in Lindrick is situated a few miles north of Worksop and is mentioned in Domesday Book. It has had a number of additions, notably in the early 12th century, 15th century and 19th century. 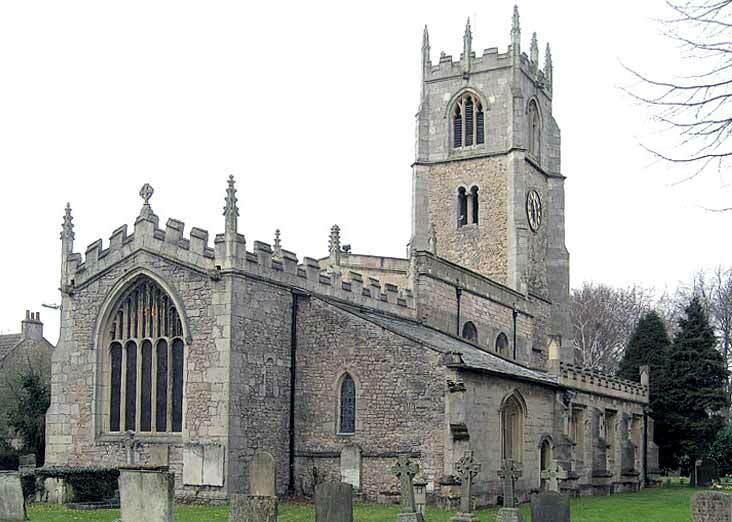 It was not until 1646 that it finally became known as St John’s, having had a number of dedications before then. In the reign of Elizabeth I the church was in trouble for burning its service books in the previous reign of Mary. The churchwardens have on two occasions been before the Archdeacon’s court for too much loud bell ringing! After the enclosures of the early 19th century the population of the parish increased. During the century the parish benefited from the philanthropy of Robert Ramsden who provided a school, and a clock for the church. Various interior restorations have taken place since then. The present gallery dates from 1892, the Becket Chapel was restored in 1935, and in 1936 there was a ‘death watch’ beetle infestation. Of interest at the church is the tower with its Anglo Saxon stonework, the chancel from the 12th century enlargement, the Norman font and the small alabaster crucifixion.